Perhaps emboldened by The A.V. Club’s own reasonably positive review, USA has already decided to give Mr. Robot, its new hacker drama, a second season. In fact, Mr. Robot is so new, that its first episode won’t even premiere for a few hours (though you could’ve watched it here a month ago), proving that a little bit of critical acclaim and Twitter buzz can really give a show an important boost—unless that show is on NBC, of course. Mr. 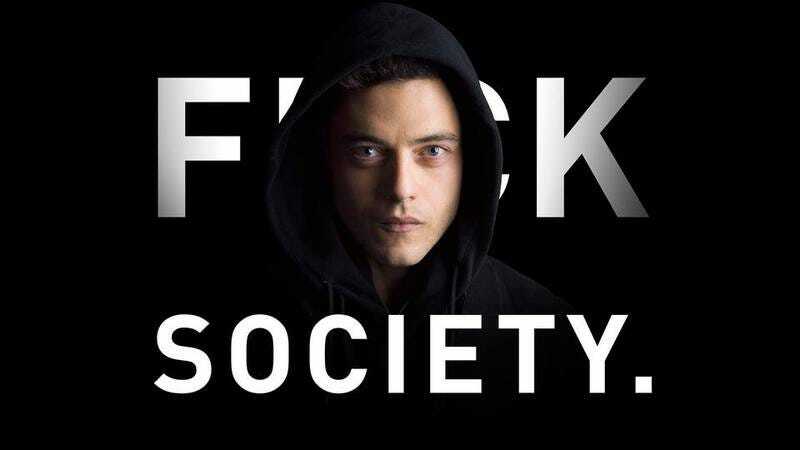 Robot stars Rami Malek as a hacker kid and Christian Slater as a hacker man (the eponymous Mr. Robot), and together they use their hacking powers to try and defeat an evil corporation. Based on what we know about season one, the second season will most likely expand on the overarching plot, introduce new conflicts for the characters to face, and maybe Slater’s character will get turned into an actual robot. Look, we have no idea what season two will be about, but at least there’ll be one. That’s all we’ve got.